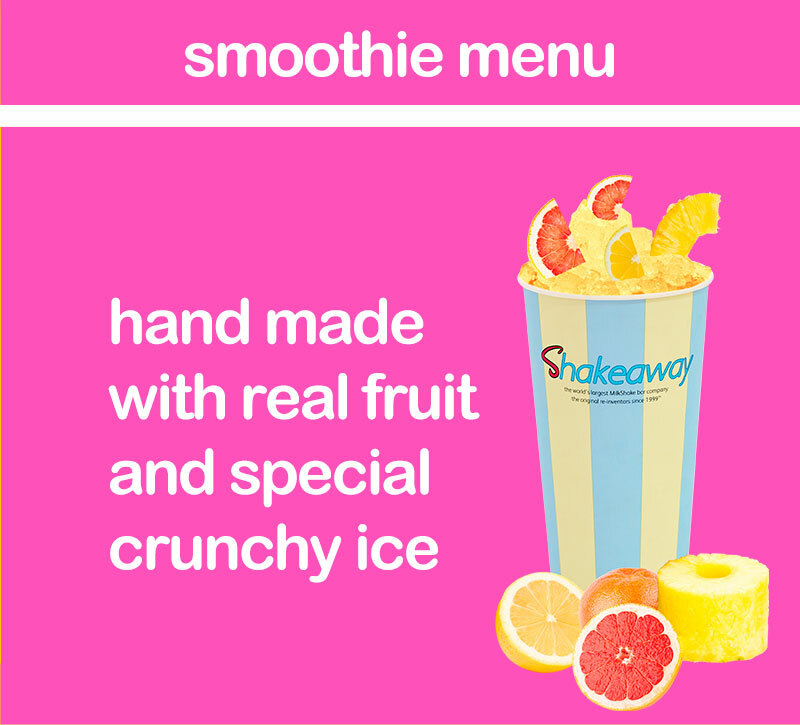 Now with more than 180 flavours and millions of possible combinations, each milkshake is made to order by hand for every customer using real and fresh ingredients every time. 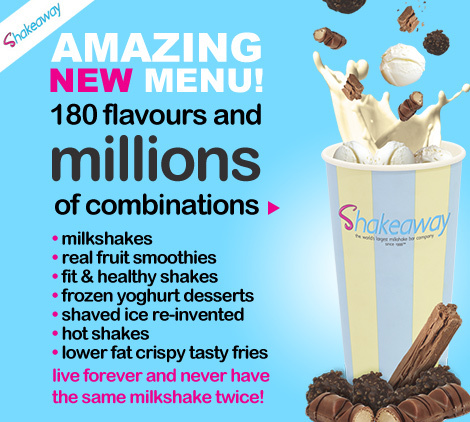 The choices are endless such as ferrero rocher & daim bar, real fresh fruit such as banana and passion fruit, luxury shakes such as red velvet cake and salted caramel, the millionaire’s milkshake made with real 23 carat edible gold and our amazing fizzy soda shakes made with real coke, fanta orange zero and more. 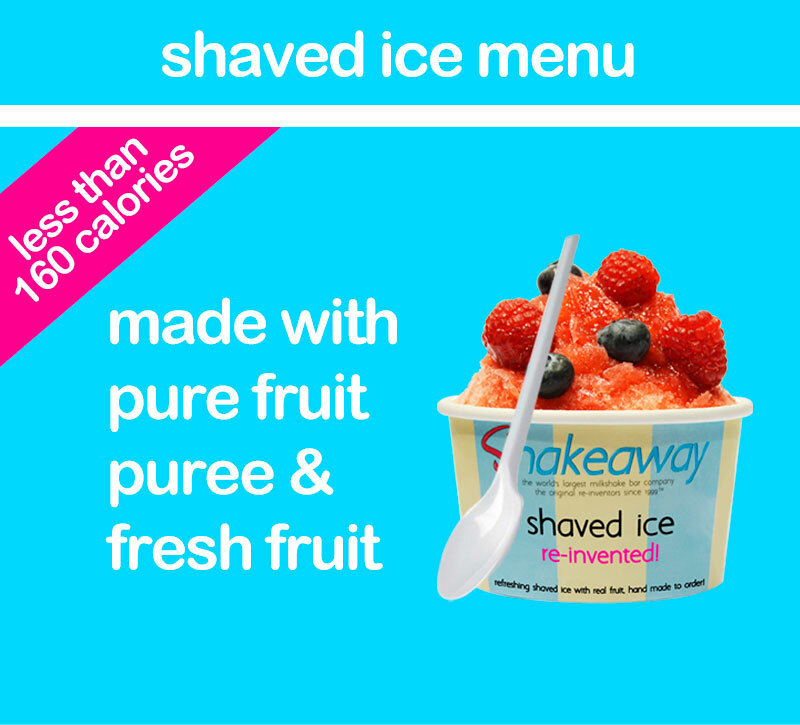 We have also re-invented a range of refreshing real fruit smoothies made with special crunchy ice, our amazing lower fat crispy and tasty fries, 100% fat free frozen yoghurt desserts that eat more like an ice cream and shaved ice re-invented made from pure fruit puree topped with real fruit at less than 160 calories per serving (available in selected stores worldwide). 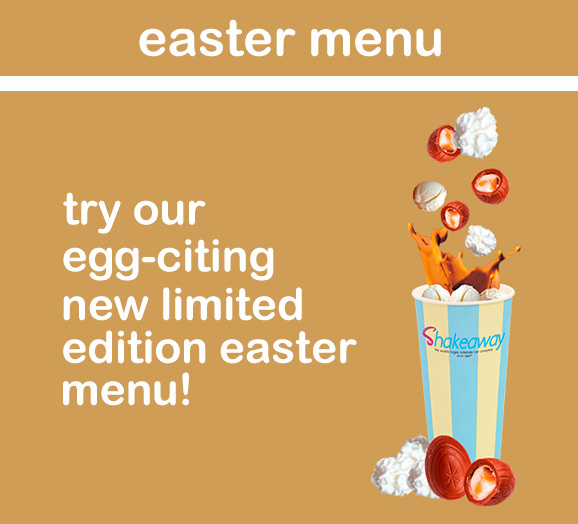 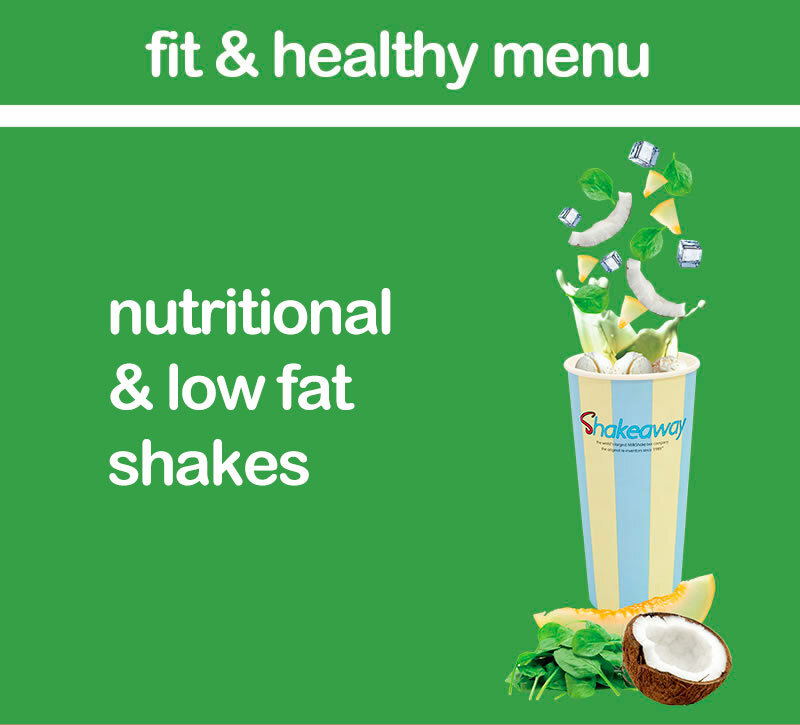 As you can see Shakeaway has a wide and balanced menu with reduced sugar ice cream in our shakes and fit and healthy shakes that really are good for you and don’t forget that we cater for most allergies. 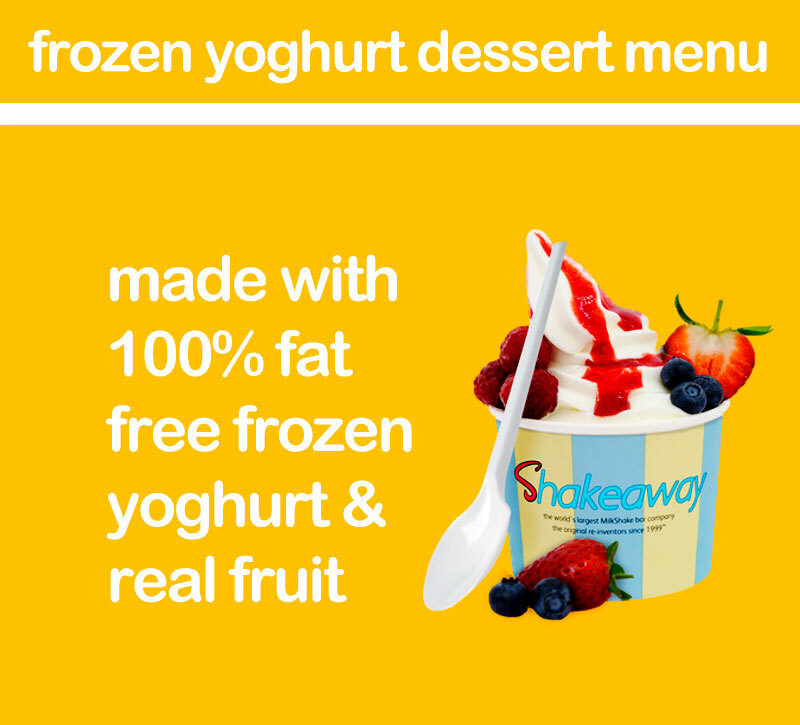 If you’d like to find out more join our community on facebook, twitter and instagram and don’t forget to ask for a free VIP Royalty Card next time you’re in store.